I’m writing currently about commitment in groups and I believe this is vital. Groups that are committed to one another, despite the costs involved, are the ones in which people grow and develop into disciplemaking disciples. They are also the groups that grow in numbers. bear fruit, and reproduce themselves. Commitment always comes with a cost, however. · “If anyone comes to me and does not hate his father and mother, his wife and children, his brothers and sisters—yes, even his own life—he cannot be my disciple” (v. 16). · “And anyone who does not carry his cross and follow me cannot be my disciple” (v. 27). · “Any of you who does not give up everything he has cannot be my disciple” (v. 33). What was Jesus saying? Consumers cannot be disciples. It takes a costly commitment to him. I believe our small groups should be no different. 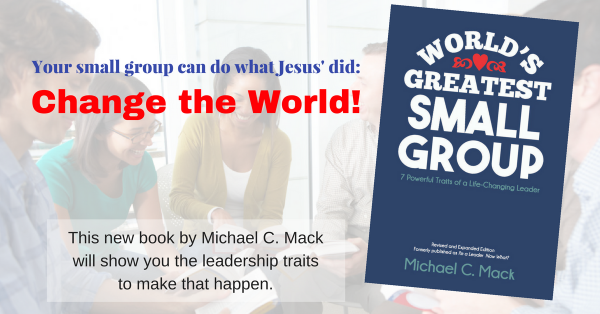 People usually get into small groups because they want to grow and help others grow as disciples of Jesus. I can’t think of another reason to be in a group that measures up to that. Being in a community of friends is the context for it. Serving together is an outflow of it. So, if group members desire to grow, the best way–I conclude that the only way–to do so is by being committed to it. In my last posting, I described what I believe are the three main commitments of a healthy, life-changing group. Each of those commitments carries a cost that the want-to-be growing disciple must pay. Talk openly about the costs and the commitments. Discuss what you think and how you feel about them. Encourage open, mask-free, honest dialog about what these commitments will involve. Discuss what hangups, obstacles, and fears group members have about making these commitments and paying these costs. Develop an environment of acceptance for where people are in their journeys and the emotions they are feeling in regard to the commitments and the costs. At the same time, however, encourage one another and spur one another on toward entering into the harder parts of living the Christian life together. Be supportive of one another and, as necessary, admonish one another, speaking the truth in love. Confess your failings to one another and forgive one another as you go. Authentic, biblical community is the right environment for counting the cost of commitment!